She is an art lover & practitioner with some experiences in journalism especially in art space. She managed and organized some art events [founder of AppreRoom, a non-formal & non-profit institution] which made some trainings of journalist in art, and others. 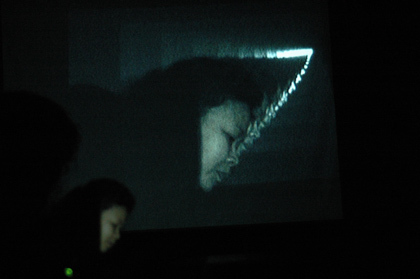 Recently she took an observation in performance art’s history and its management in Indonesia, Malaysia and Singapore (2005-2006) which is a part of beginning of her learning in performance art as a genre. She is interested in performance art that is like a journey of soul of each performer in understanding of his or her life. Performance art also like birds migration which fly away all the time, that can’t be stopped and make some breeding & assimilation with every place, including new forms and other perspectives. She concern in art space as one of medium for minds which is to be explored in never ending era and brings all histories of people and human being.